By Ernest Gellhorn. Published by Thomson West. 2011. 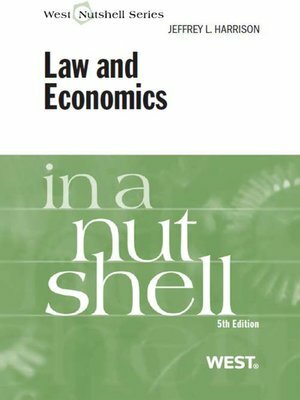 This comprehensive title covers topics such as basic price theory, definitions of efficiency, the Coase Theorem, and the economics of contract law, tort law, criminal law, regulation, antitrust, and intellectual property. By Lawrence Anthony Sullivan. Published by Thomson West. 2006. 2nd edition. 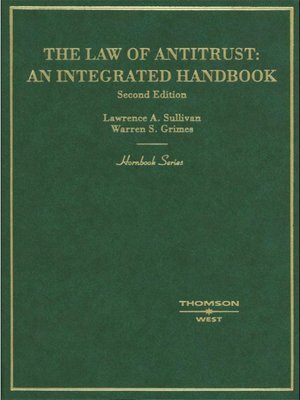 This hornbook gives a detailed and comprehensive treatment of basic rules, principles, and issues relating to antitrust law. It is written for both students and practitioners.